Travel guidebooks and websites are not very flattering about Seremban, describing it with words like ‘workaday’ and ‘ugly and noisy’. Wikitravel’s things-to-do-in-Seremban section is blank. Not a good sign! 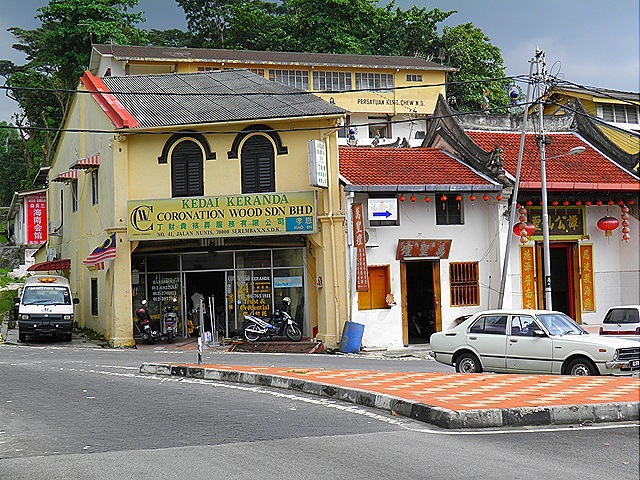 I visited Seremban last weekend to see if it is as uninteresting as they say. 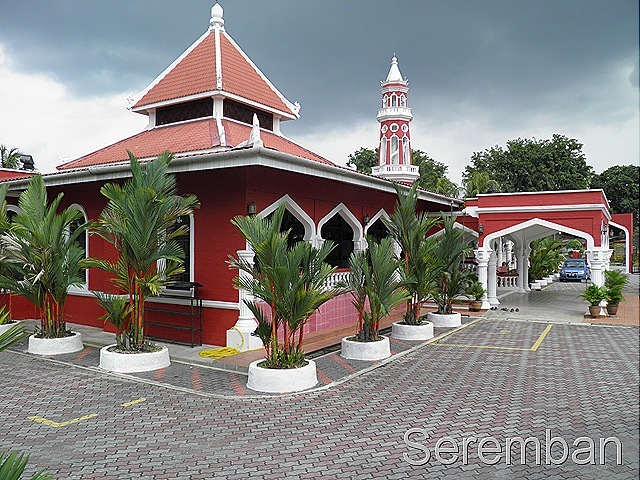 Located about an hour’s drive from Kuala Lumpur, Seremban is the capital of Malaysia’s smallest state, Negeri Sembilan. The town is not small, with a population of 420,000 or so but I confined myself to a walking tour of the town centre. Maybe I am easily pleased but I found the town to be not without its charms and as usual I focused on the older buildings. The State Museum/Cultural Handicraft Complex was worth a visit. The philatelic section displaying Negeri Sembilan’s postal history was somewhat underwhelming. Stamp exhibitions need good lighting if they are to have any chance of interesting the general public but this was a rather dark room. 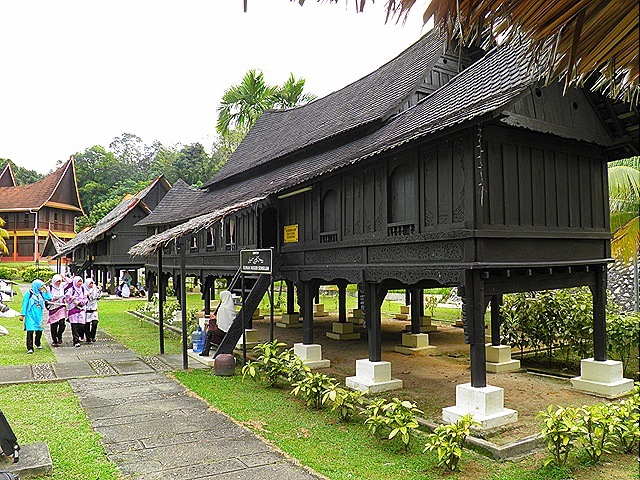 More impressive were the two traditional Rumah Minangkabau wooden houses. This house has even been to England! 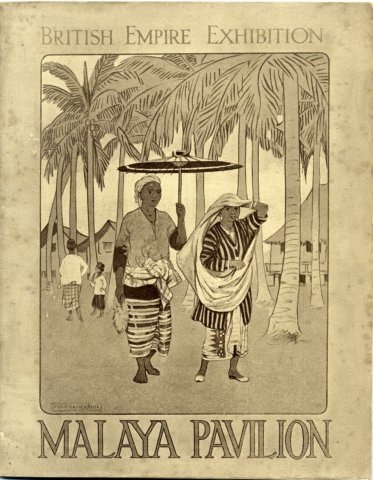 It was dismantled and shipped to London to take part in the Malaya Pavilion of the British Empire Exhibition, at Wembley in 1924 (which is when the original Wembley football stadium was completed). 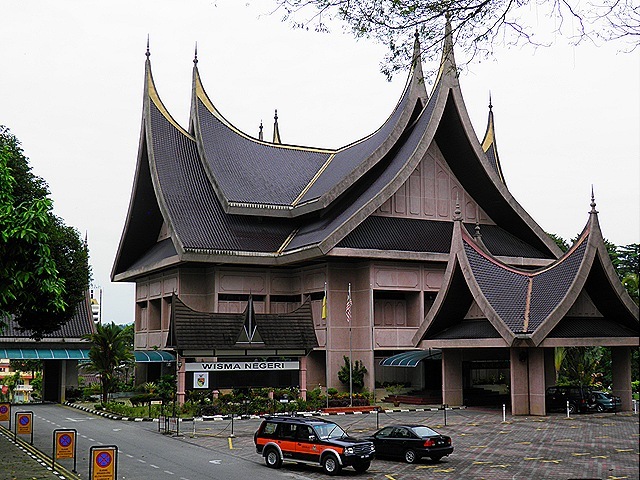 The Minangkabau are an ethnic group originating from west Sumatra (around Padang) and apart from their distinctive style of architecture with buffalo horn-shaped rooflines, their main claim to fame is that they are one of the few matrilineal cultures in the world (meaning that property passes down from mother to daughter instead of through the male line). Personally, I don’t see anything special about that. In my experience women always hold the purse strings in Asia – and the rest of the world for that matter! 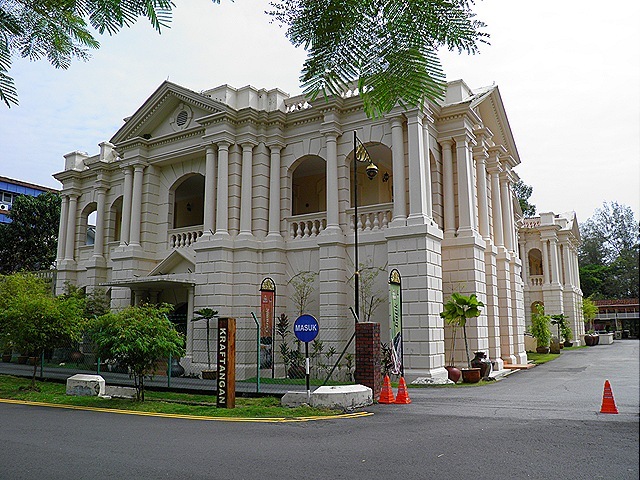 There were a few grand old colonial buildings in good condition. 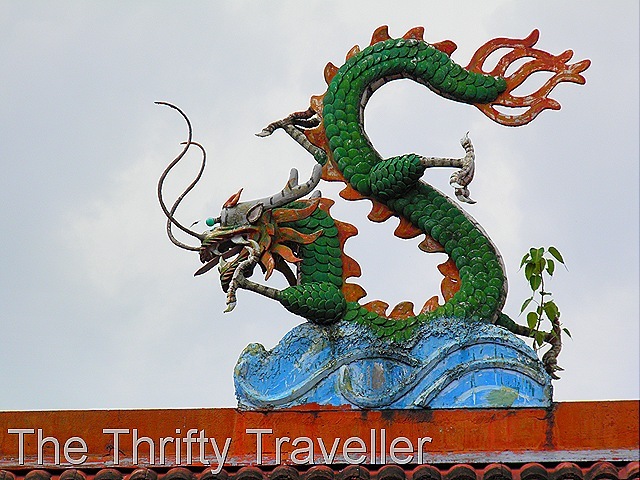 This beauty housed a branch of the government owned handicraft corporation and was selling a smart selection of traditional crafts. Pity it was not busier! Nearby was the even more imposing State Library, formerly the State Secretariat Building. The plaque outside said that the building was designed by B.P. Hubback. This could well be a misprint as A. B. Hubback was the famous architect of the time and although he had two brothers they were not architects and had different initials. Amazing fact – the building was empty! I pressed my nose against as many windows as I could, upstairs and down, and there was not a book to be seen. I know Malaysians are not big readers but still! I guess the books have been relocated and the building is being earmarked for another purpose. Across the street was the current version of the State Secretariat , a more modern building (1987) but equally striking. The government annex building next door was unfortunately not built in the same style. 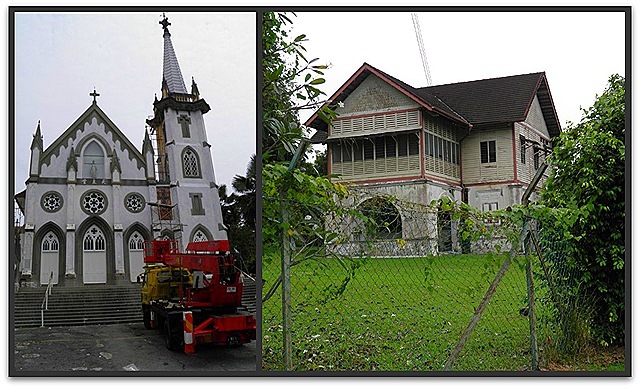 There are a few historic churches in Seremban. The Anglican church was a relatively modern building while the old vicarage building next door had been abandoned to termites and will need to be demolished soon. The Catholic Church Of The Visitation was being visited by builders who were adding a fresh coat of paint. 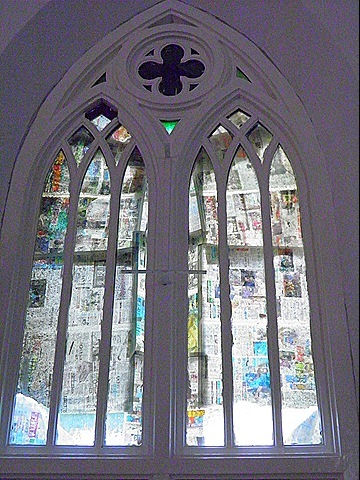 The builders had stuck newspaper to the windows which gave quite a good stained glass effect. 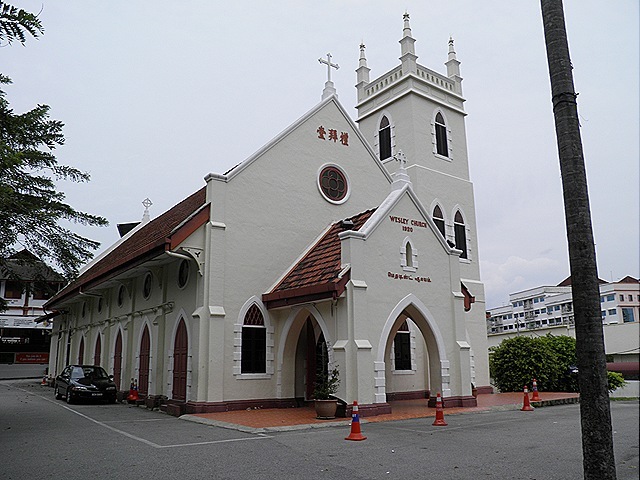 There was also a Wesley Methodist church in town. I wonder if the founder, John Wesley, ever imagined his teachings would reach as far as Seremban? Talking of places of worship there was a well presented Hindu temple close to the railway station. Of course, with a large Chinese population, there were also plenty of temples in town, some of them modest in size. 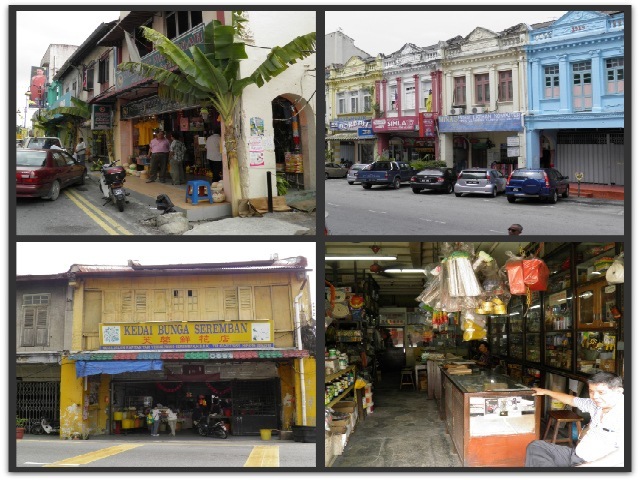 There were still plenty of colourful and traditional looking shophouses to add character to the town centre. 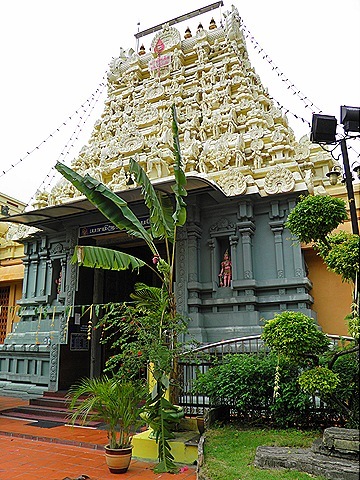 The Indian owned shops were decorated with banana trees as part of festival celebrations. 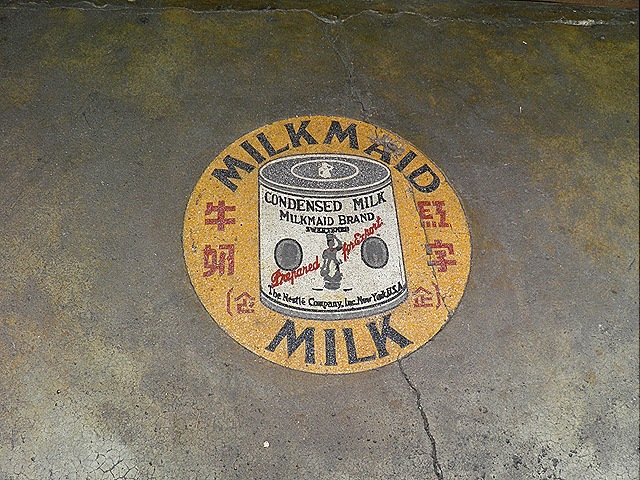 This type of advertising on the pavement outside a general store is rare these days. 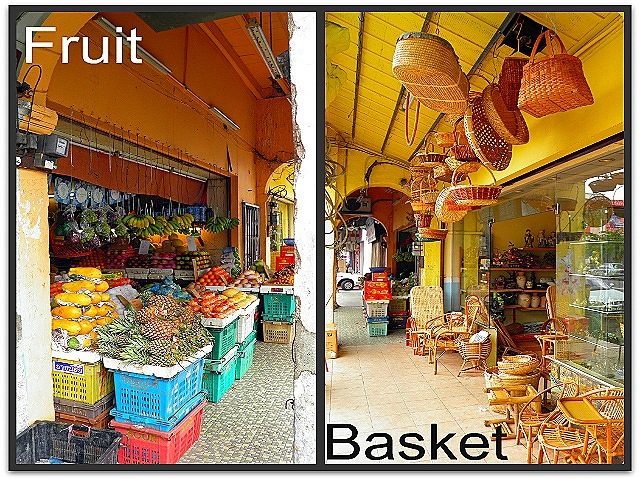 The shop owner should ask Nestle for a contribution for maintaining it in such good condition. Should you visit Seremban? Well I can understand why this town does not feature high on tourists’ lists of must-see attractions. 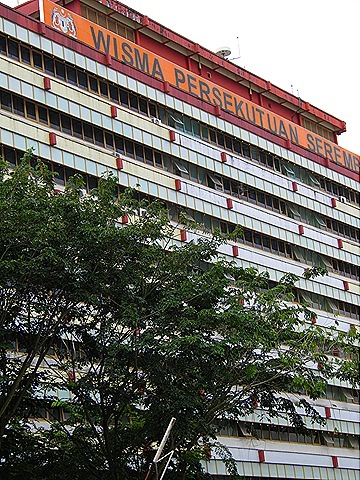 You can probably find better examples of these buildings elsewhere in other cities in Malaysia. But if you have bags of time and are passing this part of the peninsula, why not stop-off here for a few hours? I found that the Serembanese were very friendly folk. They were probably wondering who this strange gweilo was taking photos of weird things but they all smiled nicely. And by the way, I have not mentioned the food. Hakka Mee, Mix Pork Porridge, Beef Noodles, Teochow Salted Vegetable Congee and Squid Rice Noodles are all said to be the dishes to sample here. Enjoy!